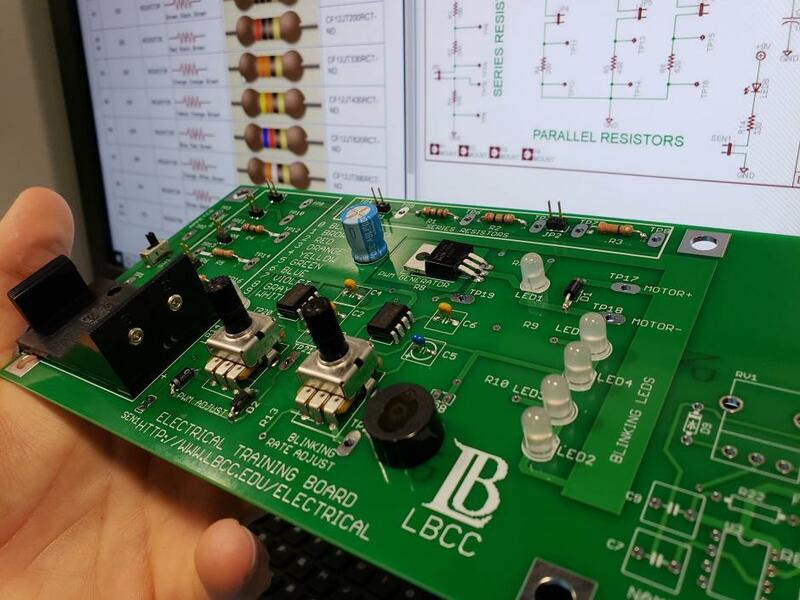 First-time students to the Electrical Program are required to complete the steps below in order to register for electrical classes at Long Beach City College. Please follow these steps carefully. There is help available at each step of the way. The Electrical Technology Program is approved by the California Apprenticeship Council. In order to work, students must maintain enrollment in a minimum of 150 hours of classes per year. This is the equivalent of two 3-hour classes per semester. The program provides both day and evening classes to allow for full-time day work and part-time night school. Explore the degrees and certificates offered by Electrical Technology Program. 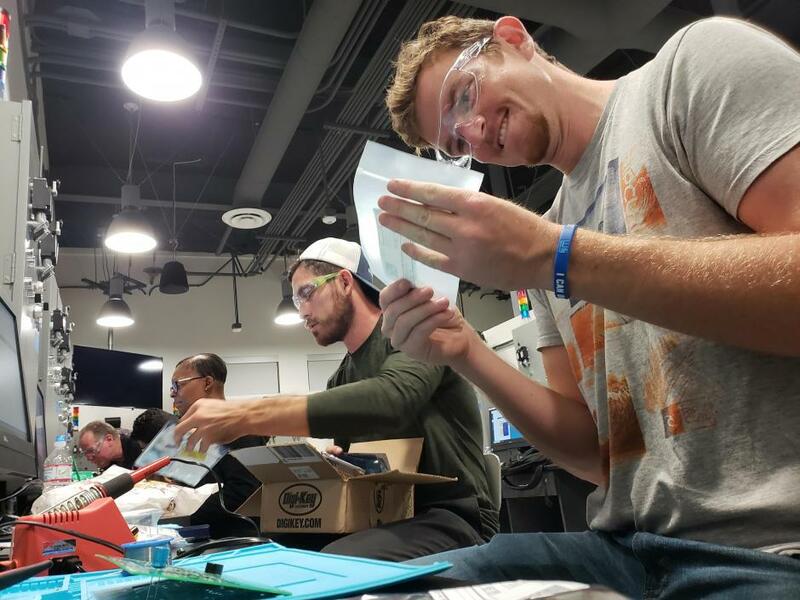 The Associate of Science in Electrical Technology, Automation Technician will prepare students for entry-level employment in the automation systems maintenance and troubleshooting industry. This includes work in Advanced Manufacturing Facilities and companies that use underwater robots. The techniques used in both industries are similar and there is significant crossover between the two. Upon completion the student will be able to install, maintain, and repair automation systems in a safe and workmanlike manner. Limitation on Enrollment – New students must attend an Electrical orientation prior to enrollment. The program requisite is in place to ensure the safety and health awareness of LBCC electrical students. 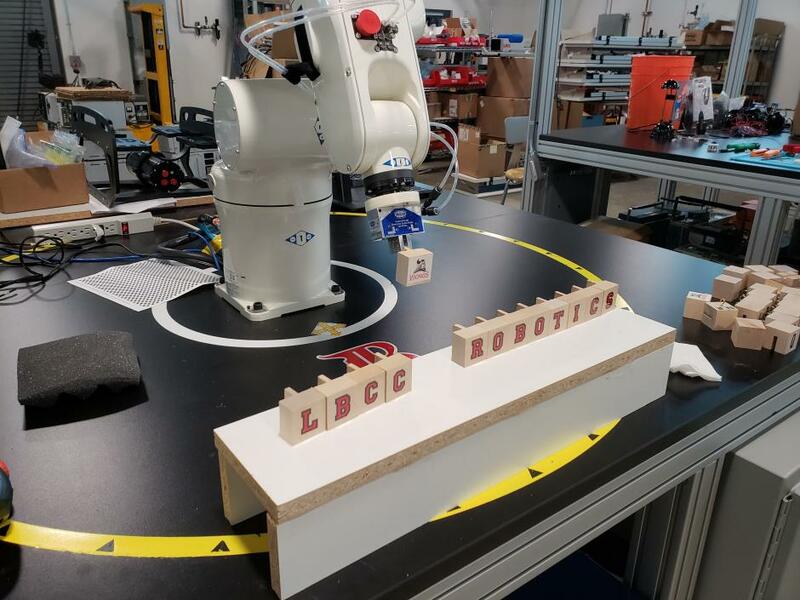 Develop procedures for the successful installation, maintenance and troubleshooting of robotic, PLC and automation control systems. The Associate Degree Electrical Technology, CISCO Certified Network Installation will prepare students for entry-level employment in the networking installation and troubleshooting industry. This includes industries that implement internet protocol for factory automation and residential automation control systems. Upon completion the student will be able to install, maintain, and repair CISCO networking equipment and systems in a safe and workmanlike manner. Limitation on Enrollment – New students must attend an Electrical orientation prior to enrollment. The program requisite is in place to ensure the safety and health awareness of LBCC electrical students. Develop procedures for the successful installation, maintenance and troubleshooting of CISCO related network infrastructure. 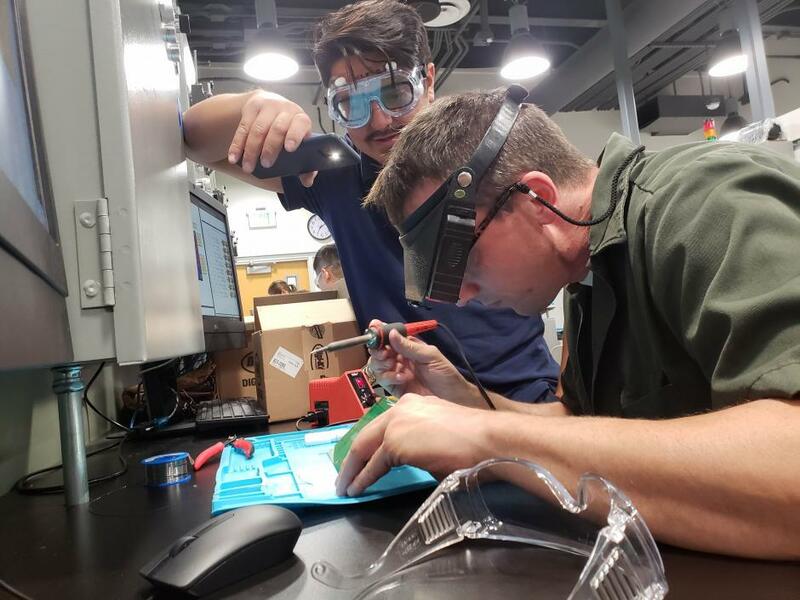 The Associate Degree in Electrical Technology, General Industrial Electrician will prepare students for entry-level employment in the electrical maintenance and troubleshooting industry. Upon completion the student will be able to install, maintain, and repair electrical systems in a safe and workmanlike manner. Limitation on Enrollment – New students must attend an Electrical orientation prior to enrollment. The program requisite is in place to ensure the safety and health awareness of LBCC electrical students. Develop procedures for the successful installation, maintenance and troubleshooting of electrical systems. The Associate of Science in NETA High Voltage Test Technician Certificate of Achievement will prepare students for entry-level employment in the high voltage testing and certification industry. NETA (InterNational Electrical Testing Association) is a group of member companies that specialize in the testing and certification of high voltage power distribution equipment. Upon completion of the Electrical Technology Certificate of Achievement and the NETA High Voltage Test Technician Certificate of Achievement, the student will be able to test, maintain, and repair high voltage electrical systems in a safe and workmanlike manner. Limitation on Enrollment – New students must attend an Electrical orientation prior to enrollment. The program requisite is in place to ensure the safety and health awareness of LBCC electrical students. Develop procedures for the successful maintenance and troubleshooting of high voltage electrical switchgear, over-current protection and power distribution systems. The Associate Degree in Solar Installation and Maintenance will prepare students for entry-level employment in the solar electrical industry. 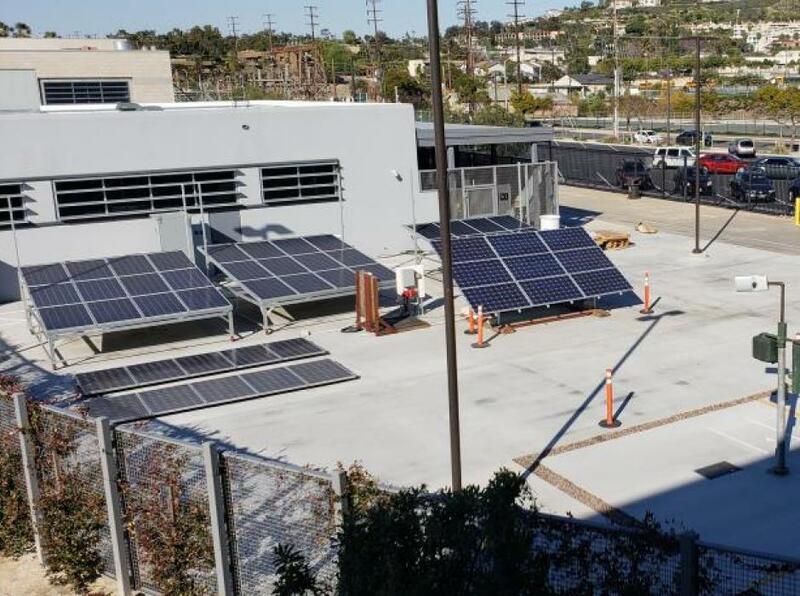 Upon completion the student will be able to install, maintain, and repair solar electrical equipment and systems in a safe and workmanlike manner. Limitation on Enrollment – New students must attend an Electrical orientation prior to enrollment. The program requisite is in place to ensure the safety and health awareness of LBCC electrical students. Analyze various types of solar power generation systems and demonstrate the ability to properly size systems to meet demand. The Associate of Science in Electrical Technology, Traffic Signal Technician will prepare students for entry-level employment in the traffic signal maintenance and troubleshooting industry. Most of this work is done by technicians employed by cities where the traffic signal systems are located. Upon completion the student will be able to install, maintain, and repair traffic signal systems in a safe and workmanlike manner. Limitation on Enrollment – New students must attend an Electrical orientation prior to enrollment. The program requisite is in place to ensure the safety and health awareness of LBCC electrical students. Develop procedures for the successful installation, maintenance and troubleshooting of Traffic Signal systems. The Electrical Technology, Automation Technician Certificate of Achievement will prepare students for entry-level employment in the automation systems maintenance and troubleshooting industry. This includes work in Advanced Manufacturing Facilities and companies that use underwater robots. The techniques used in both industries are similar and there is significant crossover between the two. 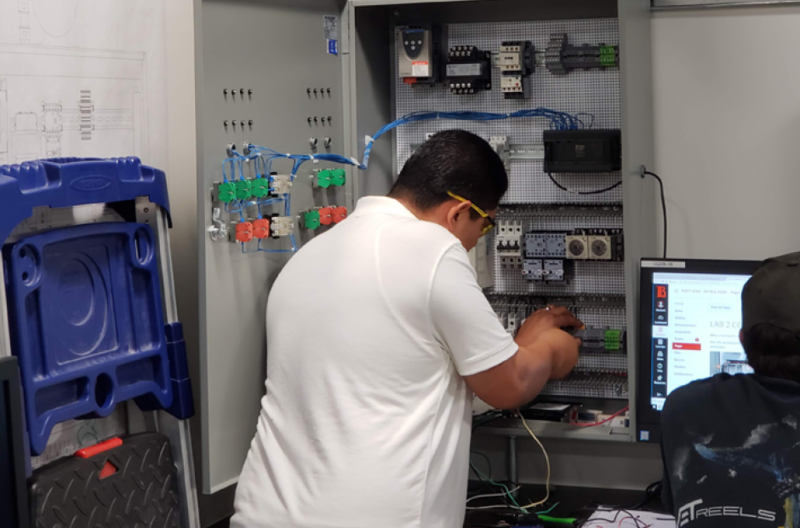 Upon completion of the Electrical Technology Certificate of Achievement and the Automation Technician Certificate of Achievement, the student will be able to install, maintain, and repair automation systems in a safe and workmanlike manner. Limitation on Enrollment – New students must attend an Electrical orientation prior to enrollment. The program requisite is in place to ensure the safety and health awareness of LBCC electrical students. 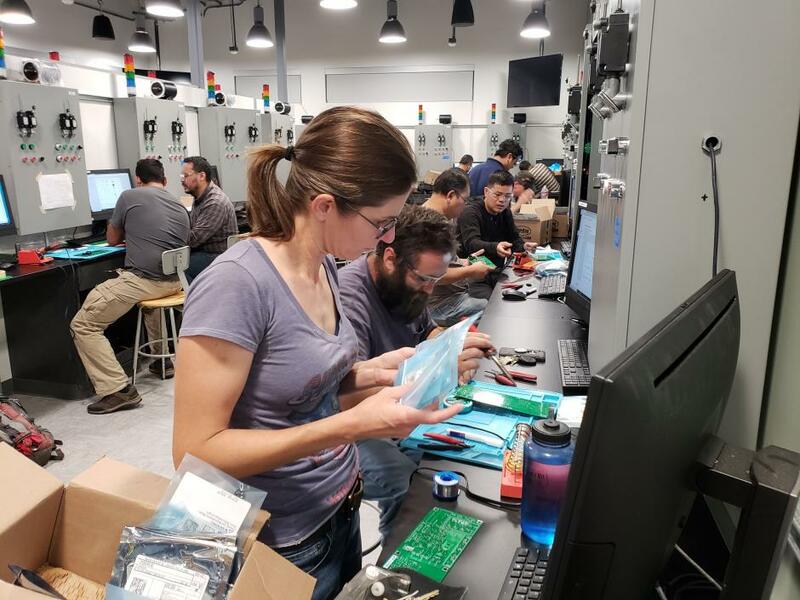 The Electrical Technology, CISCO Certified Network Installation Associate Certificate of Achievement will prepare students for entry-level employment in the networking installation and troubleshooting industry. This includes industries that implement internet protocol for factory automation and residential automation control systems. Upon completion of the Electrical Technology Certificate of Achievement and the CISCO Certified Network Installation Associate Certificate of Achievement, the student will be able to install, maintain, and repair CISCO networking equipment and systems in a safe and workmanlike manner. Limitation on Enrollment – New students must attend an Electrical orientation prior to enrollment. The program requisite is in place to ensure the safety and health awareness of LBCC electrical students. Elect 253 OSHA Standards for Construction Safety Material Fee: $8.00. The Electrical Technology, General Industrial Electrician Certificate of Achievement will prepare students for entry-level employment in the electrical maintenance and troubleshooting industry. Upon completion the student will be able to install, maintain, and repair electrical systems in a safe and workmanlike manner. Limitation on Enrollment – New students must attend an Electrical orientation prior to enrollment. The program requisite is in place to ensure the safety and health awareness of LBCC electrical students. The Electrical Technology, NETA High Voltage Test Technician Certificate of Achievement will prepare students for entry-level employment in the high voltage testing and certification industry. NETA (InterNational Electrical Testing Association) is a group of member companies that specialize in the testing and certification of high voltage power distribution equipment. Upon completion of the Electrical Technology Certificate of Achievement and the NETA High Voltage Test Technician Certificate of Achievement, the student will be able to test, maintain, and repair high voltage electrical systems in a safe and workmanlike manner. Limitation on Enrollment – New students must attend an Electrical orientation prior to enrollment. The program requisite is in place to ensure the safety and health awareness of LBCC electrical students. The Certificate of Achievement in Solar Installation and Maintenance will prepare students for entry-level employment in the solar electrical industry. Upon completion of the Electrical Technology Certificate of Achievement and the Solar Installation and Maintenance Certificate of Achievement, the student will be able to install, maintain, and repair solar electrical equipment and systems in a safe and workmanlike manner. Limitation on Enrollment – New students must attend an Electrical orientation prior to enrollment. The program requisite is in place to ensure the safety and health awareness of LBCC electrical students. The Electrical Technology, Traffic Signal Technician Certificate of Achievement will prepare students for entry-level employment in the traffic signal maintenance and troubleshooting industry. Most of this work is done by technicians employed by cities where the traffic signal systems are located. Upon completion the student will be able to install, maintain, and repair traffic signal systems in a safe and workmanlike manner. Limitation on Enrollment – New students must attend an Electrical orientation prior to enrollment. The program requisite is in place to ensure the safety and health awareness of LBCC electrical students. 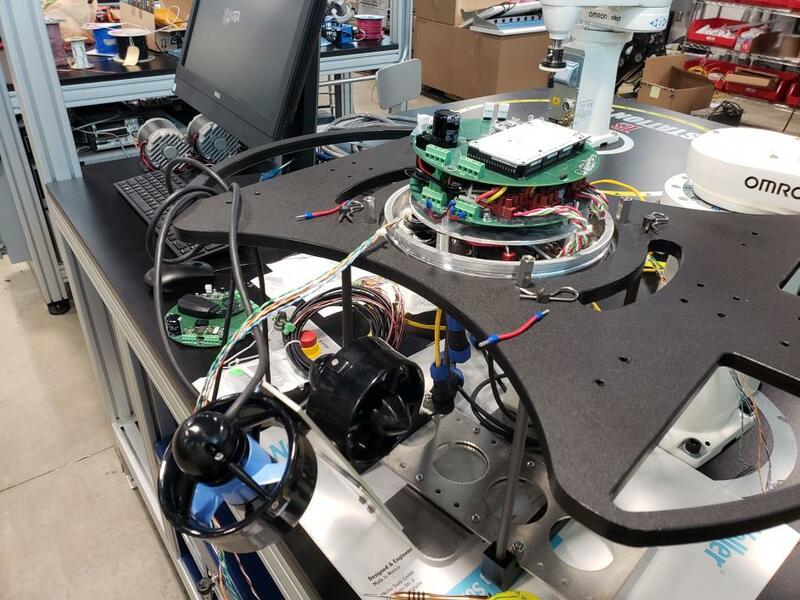 The Automation Technician Certificate of Achievement will prepare students for entry-level employment in the automation systems maintenance and troubleshooting industry. This includes work in Advanced Manufacturing Facilities and companies that use underwater robots. The techniques used in both industries are similar and there is significant crossover between the two. Upon completion, the student will be able to install, maintain, and repair automation systems in a safe and workmanlike manner. 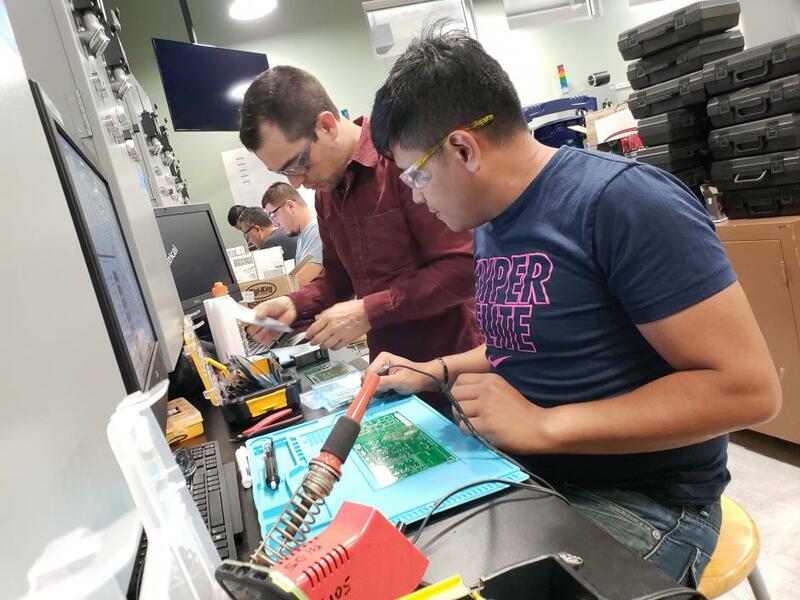 The CISCO Certified Network Installation Associate Certificate of Achievement will prepare students for entry-level employment in the networking installation and troubleshooting industry. This includes industries that implement internet protocol for factory automation and residential automation control systems. Upon completion of the Electrical Technology Certificate of Achievement and the CISCO Certified Network Installation Associate Certificate of Achievement, the student will be able to install, maintain, and repair CISCO networking equipment and systems in a safe and workmanlike manner. The Electrical Apprenticeship Preparation Certificate of Achievement will prepare students for entry into union electrical apprenticeship programs. Emphasis is placed on successful electrical calculations, safety and the ability to document testing procedures. This is a stand-alone Certification of Achievement and is not part of the Certificates of Achievement required for the Electrical Technology Certificate of Achievement. Limitation on Enrollment – New students must attend an Electrical orientation prior to enrollment. The program requisite is in place to ensure the safety and health awareness of LBCC electrical students. Demonstrate the ability to solve basic electrical calculations and communicate results in detailed summary reports. The General Industrial Electrician Certificate of Achievement will prepare students for entry-level employment in the electrical maintenance and troubleshooting industry. Upon completion the student will be able to install, maintain, and repair electrical systems in a safe and workmanlike manner. The NETA High Voltage Test Technician Certificate of Achievement will prepare students for entry-level employment in the high voltage testing and certification industry. NETA (InterNational Electrical Testing Association) is a group of member companies that specialize in the testing and certification of high voltage power distribution equipment. Upon completion of the Electrical Technology Certificate of Achievement and the NETA High Voltage Test Technician Certificate of Achievement, the student will be able to test, maintain, and repair high voltage electrical systems in a safe and workmanlike manner. The Certificate of Achievement in Solar Installation and Maintenance will prepare students for entry-level employment in the solar electrical industry. Upon completion of the Electrical Technology Certificate of Achievement and the Solar Installation and Maintenance Certificate of Achievement, the student will be able to install, maintain, and repair solar electrical equipment and systems in a safe and workmanlike manner. The Traffic Signal Technician Certificate of Achievement will prepare students for entry-level employment in the traffic signal maintenance and troubleshooting industry. Most of this work is done by technicians employed by cities where the traffic signal systems are located. Upon completion of the Electrical Technology Certificate of Achievement and the Traffic Signal Technician Certificate of Achievement, the student will be able to install, maintain, and repair traffic signal systems in a safe and workmanlike manner. NOTICE FOR STUDENTS AND EMPLOYERS: Students must be enrolled and ATTENDING classes to receive an enrollment verification letter that will be sent to the DAS for the electrical trainee number. 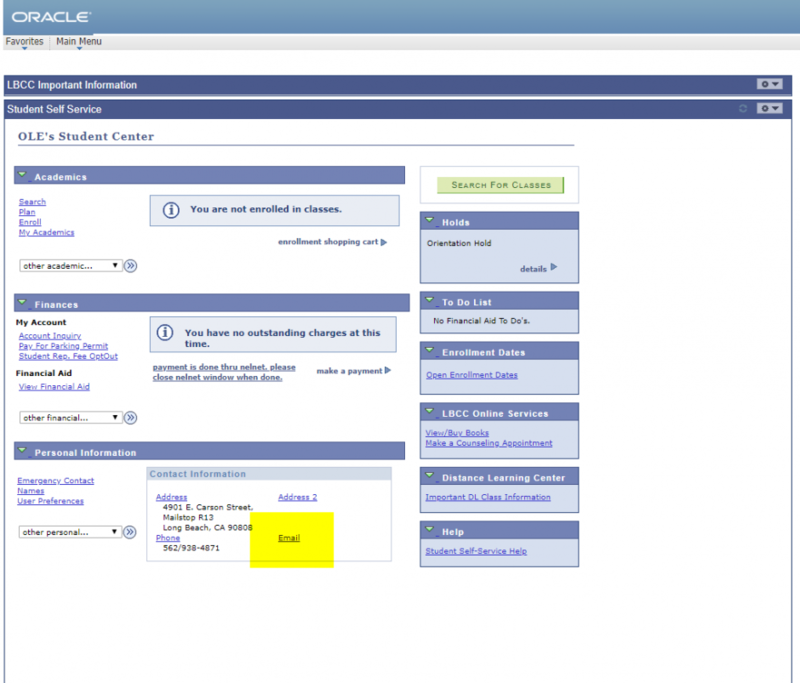 The state considers a student an officially enrolled student at the course census date. This is week four of the fall and spring semesters, week three for the summer and week two for winter semesters. After census, the letters will be printed and available in class, they will not be mailed under any circumstance.